How to make a Disneyland holiday fun for the parents too. Fellow parents, this is how you do a Disneyland holiday. Ask any kid what their dream holiday is and the response is most likely going to be Disneyland! An iconic symbol of magic and happiness, you probably even dreamed of a Disneyland Resort getaway yourself when you were younger – I know I did. As a mum, the idea can seem overwhelming, especially if you are responsible for organising everything. But, with a little planning and insider knowledge, it doesn’t have to be. Your Disneyland Resort holiday can be fantastical for both young and old (and should be). Lucky for you, I took a little trip down to Anaheim, the home of “The Happiest Place on Earth”, and have a few insider tips on fun things to do with your family in the heart of sunny Southern California. Mama, it&apos;s always time for Anaheim. Image: Supplied. Tip #1: Rush less, enjoy more. You need to spend at least a week in Anaheim to fully experience everything the city has to offer, especially when you&apos;ve travelled all the way from Australia. The Disneyland Resort is best experienced over a couple of days. There is so much to see and do, you don&apos;t want to burn yourself out trying to cram it all in. Remember, there are two theme parks – Disneyland Park and Disney California Adventure Park - as well as the Downtown Disney food and shopping precinct to explore. I personally like to get a Multi-Day Pass and explore both parks over several days. This way, you don&apos;t feel pressured to experience it all into one or two days and you can go in and out of the parks as you please. ✨ Disneyland will never be completed as long as there&apos;s imagination in the world. -Walt Disney ✨ #dreamscometrue #buenavistastreet #CaliforniaAdventure #DCA ✨ Comment your favourite quote if your awake! Tip #2: Hit the theme parks early. You can get an early start with the Disney Hotel Character Brunch and wrap up your day with the nightly fireworks display. My hot tip is to utilise the Fast Pass system for the more popular rides, which allows you to make the most of your day. Of course, what you may not realise is that Disneyland isn&apos;t the only local theme park. While you are in town, you should also visit Knott&apos;s Berry Farm. What started out as a berry farm in the 1920s is now a super-fun theme park with jaw-dropping rollercoasters and adorable attractions like Camp Snoopy, a Peanuts-themed area for the little ones. Tip #3: Pick a fun place to stay. When I&apos;m in Anaheim, I love to stay at the Great Wolf Lodge, which caters specifically to families. The most impressive feature is the massive indoor waterpark that&apos;s heated to 29 degrees all year round! Only guests have access to the waterpark and it makes for a fun and relaxing alternative from visiting theme parks. If you&apos;re anything like me, you&apos;ll be found floating down the lazy river while the kids play in the splash pad under the watchful eyes of the lifeguards. You can even try your hand at surfing if you&apos;re up for it! There are so many activities onsite to keep the kids entertained and a wide variety of dining options to suit everyone&apos;s tastes. Honestly? You&apos;d never have to leave the hotel if you didn&apos;t want to. I think my favourite experience at Great Wolf Lodge is the Mummy & Me pedicure at the Scooops Kid Spa. Who doesn&apos;t love to be pampered in fluffy robes while getting fizzy soaks and sherbet scrubs? It&apos;s extra fun to get a little bonding time in with the kids while on holiday and my daughter is OBSESSED with the tiara they gave us to take home. I really loved the themed suites, which comfortably sleep six family members and gives the kids their own fun space to relax and play in. It really is the best value accommodation in Anaheim in my opinion, with more bang for your buck (the suites sleep more people than a standard hotel room). I can pretty much guarantee you won&apos;t hear the kids complain once. Last one in the pool&apos;s a rotten egg! Tip #4: Parents, make some "me" time. If you stick to just theme parks and water parks, I can pretty much guarantee you&apos;ll be exhausted by Day 3. So, as parents, it&apos;s good to stake out some adult time, within easy reach of the Anaheim Resort district and theme parks. Hop on the Anaheim Resort Transportation, which is the local public transit system to get around the region without a car. You can get a one-way fare for $3 and an adult day pass for only $5.50. There are 16 routes, which makes it super easy and cost-effective. Believe me, this is a much better option than trying to navigate a freeway in Southern California on your own! "For a date night out, my suggestion is the House Of Blues at Anaheim Garden Walk." Image: Supplied. For a date night out, my suggestion is the House Of Blues Anaheim GardenWalk. I highly recommend making a reservation at the VIP Lounge, the Foundation Room. This gorgeous, upscale lounge features amazing food and cocktails. The vibe is relaxed and unpretentious, and you get priority access to main stage performances too. There&apos;s also a more casual bar and restaurant on the lower level that offers southern fare. But don&apos;t forget – the portion sizes are much bigger in America! I suggest starting slow and sharing plates – you can always order more. This is also a great spot for a family lunch if your kids are craving a big, juicy burger. Tip #5: Go beyond Disney to discover more of Anaheim. Anaheim is within easy reach of the best beaches and attractions in Southern California. And while I love the beach, I also love trying new things…like trapeze! I took a lesson at SwingIt Trapeze while I was in town...and if I can do it, you can too. Explore more of Anaheim! Image: Supplied. The instructors told me they have had kids as young as three and people in their sixties learn to trapeze. Although, they will teach anyone up to the age of 83! It&apos;s a lot of fun, and much easier once you get the hang of it. Angel Stadium of Anaheim is also less than 10 minutes from Disneyland and is home to the local baseball team, the Angels. There is nothing quite like an American baseball game in the summertime. It really is a memorable experience and the crowd is so passionate and fun, you get swept away in the energy! Admittedly, I&apos;m not much of a sports fan, but put a giant hot dog and an ice-cold beer in my hand? I&apos;m one happy mama. Go Halos! Tip #6: Suss out the bargains (there are many). Mums – I know you feel me when I say the REAL reason for the trip to Anaheim is the SHOPPING. I was absolutely blown away by how cheap it is to shop for some of my favourite brands in America. Just make sure the credit cards have plenty of space and you bring an extra suitcase. But seriously, I came home with 30 pairs of designer shoes on my first trip to California. Oops. The Outlets at Orange are my pick. Only minutes from the Anaheim Resort district, there are 120 shops, so you are guaranteed to find an amazing bargain. No-one will complain about your shopping spree because there is so much for the rest of your family to do while you take a much-needed Mum-cation. The Vans store actually has an indoor skatepark (how cool is that?) and the kids can take a lesson while you shop. They don&apos;t even need their own gear, because you can rent onsite. If skating isn&apos;t their thing, there is an AMC movie theatre, Lucky Strike Bowling Alley and Dave & Buster&apos;s full service restaurant and video arcade. Tip #7: Get your foodie on. Perhaps my favourite discovery on my Disneyland holiday was the Historic District of Anaheim. I&apos;ll admit – I&apos;m a huge foodie. I can&apos;t help it, I&apos;m a Taurus. The Anaheim Packing House is the old Sunkist Citrus Packing House, built in 1919. Now, it&apos;s a glorious two-level food hall of epicurean delights, featuring Mexican food, curious Asian fare, hand-tossed pizzas, unique desserts and more. The sights and smells of this hall are absolutely intoxicating – and it&apos;s full of Instagram photo opps. See if you can spot the secret entrance to the hidden speakeasy bar! The real reason we all travel to the U.S... THE FOOD! Image: Supplied. Once you&apos;re done indulging your tastebuds, take a walk across the way to the Anaheim Brewery. Dating back to the 1800s, the Anaheim Brewery was brought back to life by the current owners six years ago. Greg and Barbara and the staff will regale you with the history of the beer and the historic building where they brew their beers and make you feel right at home. Kids are welcome in the tasting room and on the patio, where you can drink at beer hall tables from Germany. This is a fabulous spot to end the day and mix with locals while enjoying a good brew. If you love craft beer, Anaheim really is the place for you. After Anaheim Brewery blazed the trail as the first modern craft brewery in Anaheim, there are now 14 local micro-breweries with more tasting rooms on the way. As you can see, there is so much more to Anaheim than just the theme parks. So make sure you plan to explore all the unexpected delights in Anaheim during your Disneyland holiday, as well as getting some cuddle time with your fave characters! Enjoy the California sunshine, Mamas. 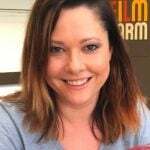 Alicia Antonio is Bottle Poppin&apos; Mama, an Aussie mummy blogger living in California. Follow her on Facebook, Twitter and Instagram. Air New Zealand offers flights to Los Angeles every day. Their Economy SkyCouch™ is perfect for families, couples and solo travellers looking to stretch out a bit. Anaheim is around an hour&apos;s drive from Los Angeles. 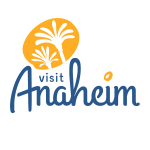 What&apos;s your hot tip for a great holiday in Anaheim? Have you been to the Disneyland Resort? Tell us below! This content was created with thanks to our brand partner Visit Anaheim.